Arts are not just about painting, sculptures or any of the common works of art. There’s a whole range of other works of art that you can take interest in, such as the intriguing floating arts. Floating arts, as the name suggests is artwork hanged. A lot of people are into this and they love the relaxing feeling that each of these beautiful floating arts give. But if you want something new and better, then perhaps you’ll love to see some very unique dye sublimated floating arts. Here at S&K Print Shops, you can find dye sublimated floating arts you can re-hang on your walls to put some color and vibrancy to a corner of your home. You can expect that each of these floating arts is carefully designed with vivid colors that capture attention for its intricate details. Customized and designed with care and attention, through direct dye sublimation process, they are durable and brimming with vibrant colors. 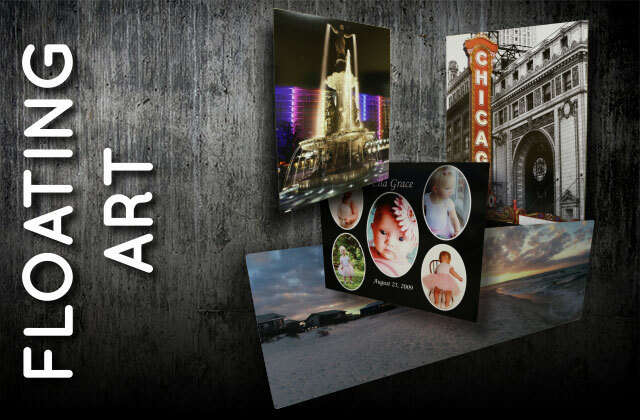 Click Here to get a FREE quote from S&K for next Floating Art printing job! All of our products come with a possible 10% quantity +/- increase/decrease total. These will be mostly seen with larger quantity items such as our stickers/decals, dye sub transfer sheets, mousepads, etc where there are high quantities with the same artwork on each item. The customer will be responsible for any charges for these overages at the same rate per item along with rest of the quoted order. Your order(s) must be reviewed by you within 5 business day from the time you receive your purchase and if any issue exists you must contact Bo15, Inc. immediately, so we can resolve that issue. All Custom products are produced for you and are not sellable to anyone else, therefore NO Refunds available for custom print jobs.